Conservative Blogs Central: Video: Reporting In Milwaukee CNN Spins Burn Down The Suburbs Into A 'Call For Peace'! 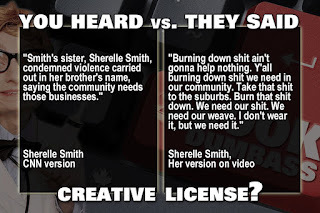 Video: Reporting In Milwaukee CNN Spins Burn Down The Suburbs Into A 'Call For Peace'! 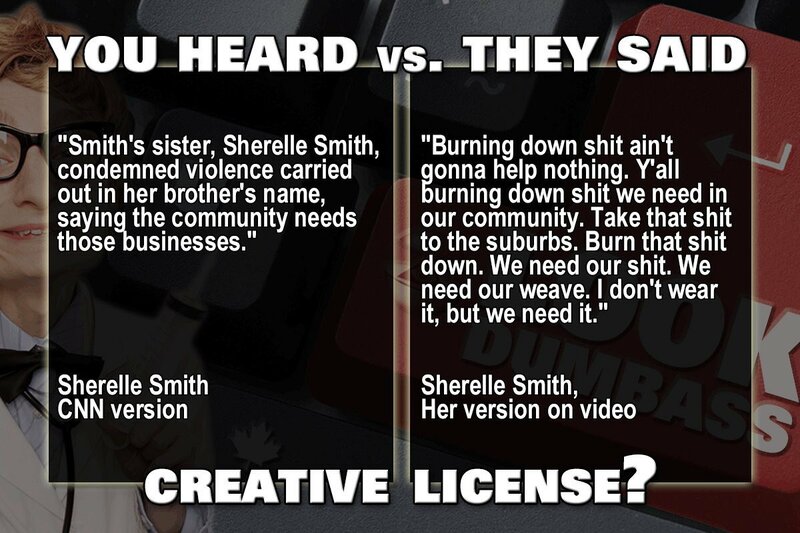 Media bias can take many forms and, in the case of Sylville Smiths' sister, it was through CNN reporting ONLY that the sister of the Milwaukee shooting victim was 'calling for peace'! Read what was reported by CNN that she said and then watch the video of what she actually said!